Academy, Where Do I Start? It still amazes me how many applicants we get for an entry-level position here at the CFL. It was the same in my previous roles at IMG and Molson Sports and Entertainment. My friends at MLSE, NHL, NBA, NFL, Toronto Blue Jays or any other Tier-1 Sports property in Canada will tell you the same thing. But what if, for whatever reason, you don’t grab one of those internships or entry-level job positions out of the gates? 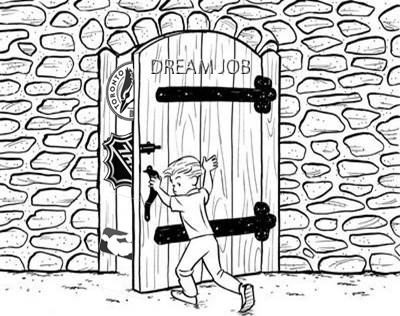 Do you close the door and your dream to work in professional sports? 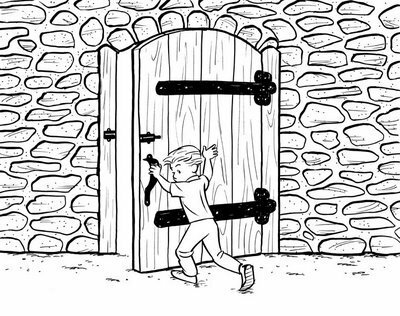 If your answer is yes, well, you wouldn’t have survived too long anyway. In any industry that has a certain sexiness or cache, you’re going to find a lot of competition – especially in sports marketing. Depending on the opportunity (Internship vs. Entry level position), choosing to pursue one of the big sports properties may not be the right move long-term, right now, anyway. If you didn’t land one of the positions or didn’t even get an interview, don’t give up your dream to work for those organizations – you may just need to take an alternative route – I did. Coming out of the George Brown Sport and Event program (recently celebrated its 20th year), I had an opportunity to stay with RBC Royal Bank following my internship in their Sponsorship Marketing group – a great opportunity, but the bank wasn’t for me. Opportunities at the major sports properties weren’t readily available nor did I have the experience to grab the attention of decision makers who held the keys to possible employment. This was before LinkedIn and other powerful social media tools were readily available (i.e. back in the day, networking and finding the right people to talk to was a lot more difficult and required some creativity and tenacity). I remember sifting through the back of Marketing Magazine’s Marketplace looking for jobs…along with all the other graduates. 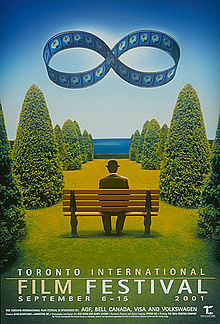 I was fortunate to land an interview and eventually a job with Toronto International Film Festival (TIFF) back in 2001. This is when it hit me… working in arts and entertainment could be a unique opportunity to develop my skills and experience in sponsorship marketing. I joined as an advertising and sponsorship assistant selling advertising in their annual festival guide. It also gave me exposure to the “Art” of selling sponsorship. Even though TIFF was exciting, I knew I wanted something more and decided to start looking. I remember grabbing a list of all the agencies (and contact names) who had ties to sponsorship marketing off the Canadian Sponsorship Report website and faxing (yes, faxing) my CV to over 50 of them. Guess what – it worked -I got a few call backs and interviews. One of them with Bonnie Hillman of Arts & Communications. Still one of my favourite people (and mentor) since I joined the industry over a decade ago. A&C wasn’t necessarily my dream job, but the opportunity to work on another flagship arts property – Cirque du Soleil – was very intriguing and it allowed me to further develop my sponsorship marketing skill-set. I soon realized that the same principles of building sponsorship programs applied to Arts as it did in Sports. In fact, it forced you to get even more creative since it lacked the high-profile broadcast and mainstream appeal of Sports. Especially back then, when a lot of decisions were still being made on personal preference, access to VIP hosting and hospitality and what I like to call the “neighbour factor”. It goes like this “Hey Bob – I saw your sign on TV last night…looked great. Do you think I could get a Jersey?” “Thanks Jim – it was a strategic move on our part – sure let’s grab a beer later and I’ll bring over a Jersey”. “You’re the best neighbour, ever – thanks Bob. See you tonight.” Jim tells himself “wow – this stuff really works…I’m definitely the cool kid on the block”. I’m being a little facetious, but we all know it still happens and is the genesis for a few deals being done, today. Note: these partnerships typically don’t last. RBC, TIFF, A&C – I had some great sponsorship experience, but nothing really in Sports. My former colleague Catherine Harris at A&C passed on a lead (thanks again Cat) from a head hunter (Mark Atkins, Mandrake at the time – he now owns his shop: Light House Search -one of his specialities is Sports marketing placements. If you don’t know who he is, you should). It was a job for Molson Sports and Entertainment – to work on action sports and music properties, the National Lacrosse League, Molson Indy Toronto/Montreal/Vancouver, etc. And did I mention it was part of the iconic Canadian beer giant (as a young twenty-something, this was a dream come true). My keen understanding of sponsorship marketing and relevant experience (even though it was sponsorship in arts) gave me a huge advantage over other candidates and eventually got me the job. So…how is this relevant for you and how do you get that Job in sports marketing. Start thinking about the sponsorship marketing industry as a whole and don’t hang your hat on a job with the Leafs, Roughriders or Blue Jays. Start mapping out a broader career path strategy that will give you a unique advantage in the marketplace. Look outside the NHL/CFL/NFL/MLB box and you’ll be surprised how many opportunities exist for you as an aspiring sports and entertainment marketing executive. You never know, you may love working in arts, entertainment and cause marketing sponsorship and decide to stay. To get you started, here’s a snapshot of the broader marketplace (in Canada) and a number of great ways to start your career path in sports, entertainment and sponsorship marketing. 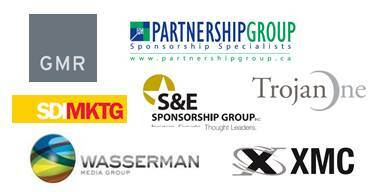 Personally, I think sponsorship marketing agencies are an incredible way to launch your career. They give you diverse experience, a young and energetic environment and opportunities to work with multiple brands and an eclectic mix of properties. High Profile Properties e.g. Maple Leaf Sports & Entertainment; NHL (and all teams); CFL (and all teams); NFL Canada, NBA Canada, etc. Cause Marketing: CBCF; Princess Margaret; Sick Kids; Movember; Free the Children; United Way; etc. When you’re thinking about a job in sports and entertainment, don’t stop at the NHL or nothing…you may discover a better way just by exploring the greater marketplace…and I haven’t even begun talking about opportunities outside of Canada. Great overview of the business Tyler. I’m sure those starting out will really appreciate this. Well done! Western, GBC, to HSF to Molson to Campbell and Co. to NHL…set your goals and go for it! Great perspective Tyler and career advise for people. Aspiring professionals who adopt the larger out-of-the box view career strategy supported by Tyler are poised to benefit, based on the findings of the 2012 Canadian Sponsorship Landscape Study. In Canada, festivals are the no. 1 target property for sponsorship among brands (over sports, no. 2), a situation unique to Canada as sports is the no. 1 focus in every other country surveyed. Events such as Caribbean Carnival, Pride and Taste of the Danforth present a great opportunity to gain sponsorship marketing experience, which could be leveraged for an opportunity with a sport property in the future. In fact, consumer interest in festivals is one impetus for greater “festivalisation” of sports properties’ marquee events.